Laura Hunt, 62, of Green Bay beloved wife of Rowdy Hunt, departed this life unexpectedly on Thursday, January 24, 2019 at Bellin Memorial Hospital. Laura was born on February 2, 1956 in Green Bay, daughter of the late Raymond and Delores (Mura) Kane. She was a graduate of Green Bay West High School. She was a loving homemaker, taking wonderful care of her husband, and four children. In her spare time she enjoyed crafting, coloring, and spending time up north. Mostly she enjoyed spending time with her family, especially her grandchildren. Laura loved Christmas and always went a bit overboard with it! She is remembered for her loving kindness and devotion to her family. She will greatly missed by her husband Rowdy, and four children: Carrie (Cory) Reinhard, Melissa (Jarrod) Dickinson, Tyler Hunt, and Tiffany (Galileo Alexander) Hunt. She also leaves her beloved grandchildren: Cody Huebner, Madyson Huebner, Beau Reinhard, Pacey Dickinson, and Reese Dickinson, along with one great grandchild, Elijah Huebner. Laura also leaves numerous nieces, nephews, extended family and friends. She is preceded in death two brothers: Roger and Raymond Kane. Visitation will be held on Wednesday, January 30, 2019 from 4 PM - 7 PM at Newcomer - Green Bay Chapel. A service celebrating her life will follow at 7 PM in the funeral home. Add your memories to the guest book of Laura Hunt. So sorry for the passing of Laurie way too soon. She was one of my best friends through school and I recently was in touch with her again. I know how much she will be missed, she was so proud of her family. No words will ease the sorrow surrounding your loss... only time. We will keep you in our thoughts and prayers. I was so sorry to hear of her unexpected passing. I have so many fond childhood memories of her and the "cousins" together. If I wasn't across the country, I would definitely be at her funeral. You are all in my prayers. To Laurie's Family.. My heart breaks for all of you. Laurie was my special Childhood friend. We did everything together & our Children grew up together on the same street Laurie & I grew up on. I have many great memories that I will hold on to. Her laugh still makes me smile to this day! May God watch over all of you & guide you during this very unforseen tragedy. My Prayers are with you. Lisa P.
I am sorry for your loss. My thoughts and prayers are with you during this challenging time. Laurie will always hold a special place in my heart.She has gone through so much. First she lost her father, then two brothers and finally her mom,they will all be waiting to greet her. 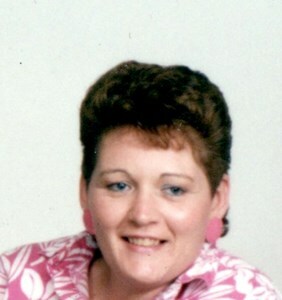 She was one of the most gentle loving cousins and I will miss her laugh and the memories of good times at Chute pond. May the good Lord hold you in the palm of his hands and give you peace. Prayers for those who remain and share their memories of good times with you....Good bye Laurie ! Our prayers and with you and your family at this time. Remember she is still in your memory and in your heart. I'm so sorry for your loss. We will continue to keep you in our thoughts and prayers during this difficult time. You were my rock, you kept me anchored in reality and never gave up on me even at the toughest times. I will never stop loving you and everyday I will continue to tell you how much I love you.